dry air, reliability and an affordable price. 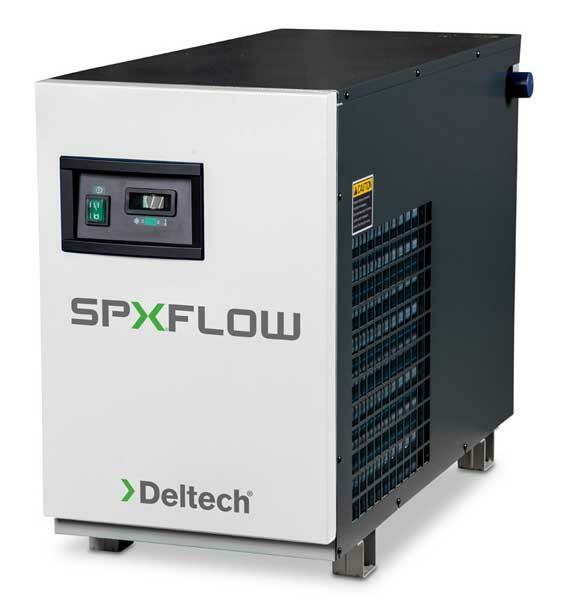 -Deltech HG and HGE Series compressed air dryers use refrigeration cooling to condense entrained moisture out of your air system. -Time saving package is easy to install. -Condensate is removed from the air stream by an automatic drain valve. -Fully automatic operation adapts to your system needs without complicated controls. -Models HGE75 - HGE500 utilize a stainless steel chevron plate angle heat exchanger that provides high heat transfer and low fouling risk. 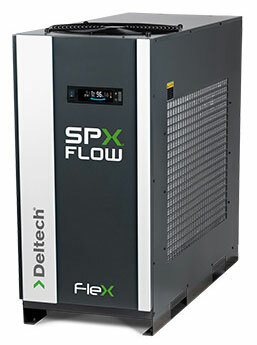 Deltech’s FLEX Series is a great solution to helping provide reliable and economical dry compressed air. This innovative technology does not require a recirculating pump and associated piping. All this results in a more energy efficient and simplified design. no separate aftercooler and separator needed. -Deltech offers this HTD Series of refrigerated air dryers to provide clean dry compressed air for high inlet temperature applications. -This series is a complete engineered system that includes an aftercooler, refrigerated air dryer, separator, filter, and drain valve all in one unit. -Dries, removes moisture, elinimates troublesome water from downstream air lines and equipment. -Allows compressed air equipment to work at peak efficiency. -An integral 3 micron filter removes solid contaminates and 60% of oil aerosols. -Continuously dries and cleans without adjustments. Liquid water is easily removed by general purpose filters. They remove 98% of the liquid water and less than 10% water mist & 0% vapor. Water in Aerosol or Vapor form requires the use of a Compressed Air Dryer. For every 50°F drop in compressed air temperature, the moisture holding capacity of air is reduced by 50%. Drying prevents liquid water forming downstream where it can contaminate or damage the system causing operating problems, costly maintenance, and repairs. 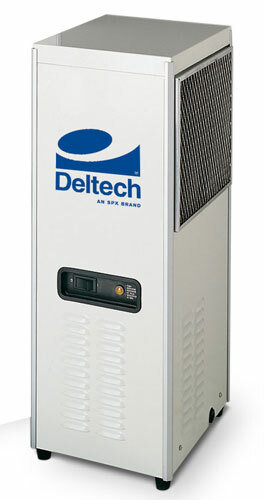 Prices include shipping for new Deltech Refrigerated Compressed Air Dryers & Filters. Is moisture harmful to my compressed air system?